“Cey Adams, a New York City native, emerged from the downtown graffiti movement to exhibit alongside fellow artists Jean-Michel Basquiat and Keith Haring. He appeared in the historic 1982 PBS documentary Style Wars which tracks subway graffiti in New York. 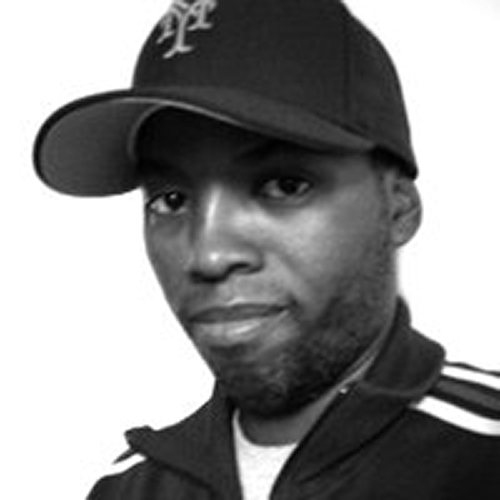 As the Creative Director of hip hop mogul Russell Simmons’ Def Jam Recordings, he co-founded the Drawing Board, the label’s in-house visual design firm, where he created visual identities, album covers, logos, and advertising campaigns for Run DMC, Beastie Boys, LL Cool J, Public Enemy, Notorious B.I.G., Maroon 5, and Jay-Z. He exhibits, lectures and teaches art workshops at institutions including: MoMA, Walker Art Center, MoCA Los Angeles, Pratt Institute, Stamford University, Howard University, Atlanta Contemporary Art Center, High Museum, Brooklyn Academy of Music, and Mount Royal University and The University of Winnipeg in Canada. He recently co-authored DEFinition: The Art and Design of Hip-Hop, published by Harper-Collins; and designed Def Jam Recordings: The First 25 Years of the Last Great Record Label, published by Rizzoli.